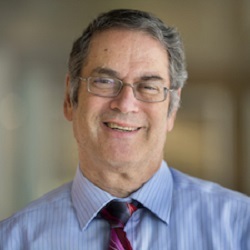 Mark S. Daskin, PhD, holds the Clyde W. Johnson Collegiate Professorship in the Department of Industrial and Operations Engineering of the College of Engineering at the University of Michigan, Ann Arbor. He is a past-president of INFORMS, the Institute for Operations Research and the Management Sciences. He is also the former chair of the IE/MS Department as well as a past editor-in-chief of IIE Transactions, the flagship journal of IIE, the Institute of Industrial Engineers. He is a past vice president of publications of INFORMS. Finally, he has served on a number of editorial boards and is a former editor-in-chief of Transportation Science. Prof. Daskin’s research focuses on supply chain network design in general and facility location models in particular. He is currently studying reliability in supply chain design as well as sustainability issues associated with supply chains. He is also studying problems in health care operations research with a current focus on transplantation problems and the assignment of residents and interns to patients. He has taught courses on: probability, statistics, operations research, supply chain reliability, location modeling, health care operations research, service operations management, and heuristic algorithms. Currently, Prof. Daskin is teaching a course on service operations management for upper level undergraduates and MS students.